When a couple can count their wedding anniversaries in decades, they usually have their relationship pretty well worked out. But as Malcolm and Ieva F. discovered, cancer can dramatically alter a couple’s roles as husband and wife, even after 40-plus years of marriage. In 2011, the pair had been retired less than a year – Malcolm from his job as a professor at Georgian College, Ieva from her career in hospital management – when blood in Malcolm’s urine led to a diagnosis of invasive bladder cancer. Although Ieva had been treated for breast cancer some 20 years earlier, Malcolm’s only first-person medical experience had been the removal of his wisdom teeth. “He had no concept of what surgery is like physically, mentally or emotionally,” says Ieva. Ieva thought she understood what Malcolm would be facing during and after treatment, based on her own history with cancer, her background as a physical and occupational therapist and a lot of online research. It was only after his surgery to remove his bladder that they discovered significant gaps in their knowledge. “We did not realize Malcolm’s prostate would be removed along with his bladder,” says Ieva. They were shocked to learn the operation had left him permanently impotent. “We had been very, very explicit with the surgeon about the importance of our intimate life. We had been assured all would be well, so it was quite traumatic to discover that part of our relationship was over,” she says. Malcolm suffered other ongoing complications related to his surgery and subsequent chemotherapy, including: short-term memory loss, nighttime incontinence, poor spatial awareness, loss of control of his legs in certain positions and constant pain. “Before the surgery, Malcolm had been running half-marathons and we had been planning to live on our sailboat. Now, he is in constant pain, which is only partially relieved by medication. He can’t bend to get into our boat (which we had to sell), and we have to plan everything we do around being near a washroom every two hours,” says Ieva. They both regret that no one on the healthcare team talked to them about the potential impact of treatment on Malcolm’s quality of life. “The doctor’s goal is to make patients cancer free, but no one asked Malcolm what was important to him or what his goals were. Today he is cancer free, but at what cost?” Ieva says. Without any professional psychosocial support, the couple struggled for years. “Malcolm was so distressed with his life, I had to be more of a therapist than a spouse,” she recalls. Over the years, they have worked hard to redefine their marriage in ways they had never imagined prior to cancer. Ieva learned a few tricks to prompt Malcolm’s memory during conversations. Together, they made the decision to use adult diapers at night to save their sleep. A chronic pain management program and a mindfulness program have helped reduce (but not eliminate) Malcolm’s pain, which has in turn improved his emotional state. Their relationship, very strong to begin with, has survived. But they both wish the healthcare system offered more psychosocial supports throughout their cancer experience. 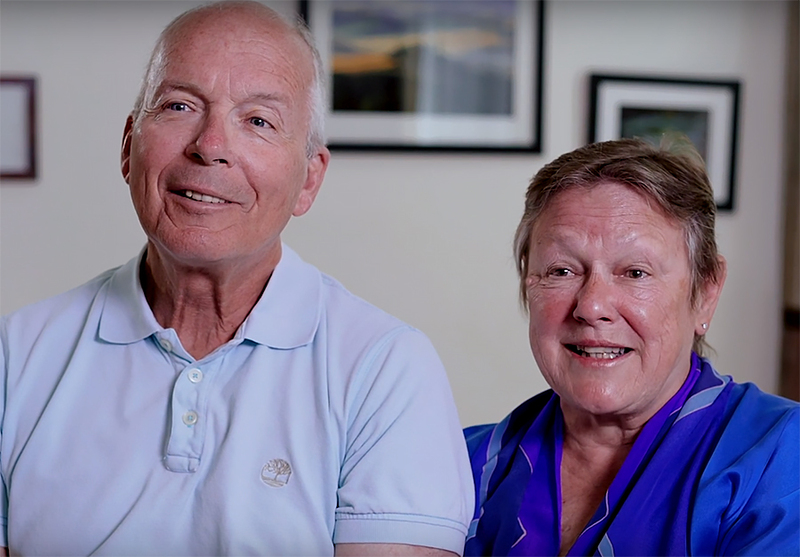 It is because of experiences like Malcolm and Ieva’s that the Cancer System Quality Index (CSQI) is highlighting bladder cancer as a special focus this year. We know that better access to appropriate healthcare services is needed in order to help improve patients’ quality of life and address long-term side effects of treatment. In April 2018, Cancer Care Ontario released a series of recommendations for the delivery of Psychosocial Oncology (PSO) Services in Ontario to ensure the range of necessary PSO services are provided consistently and in a timely fashion to all cancer patients and their families in Ontario who require them. To view this year’s CSQI ratings and learn more about bladder cancer in Ontario visit the CSQI website.